For the occasion of the inaugural Sinagpore Biennale in 2006, Tsai was invited to create a project in the former military camp of Tanglin. 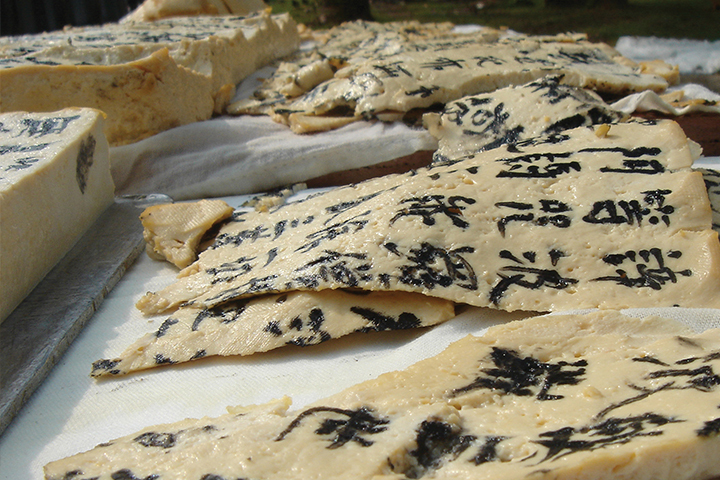 During the evening of the vernissage, the artist performed the writing of the Heart Sutra in Chinese calligraphy on a large piece of tofu. 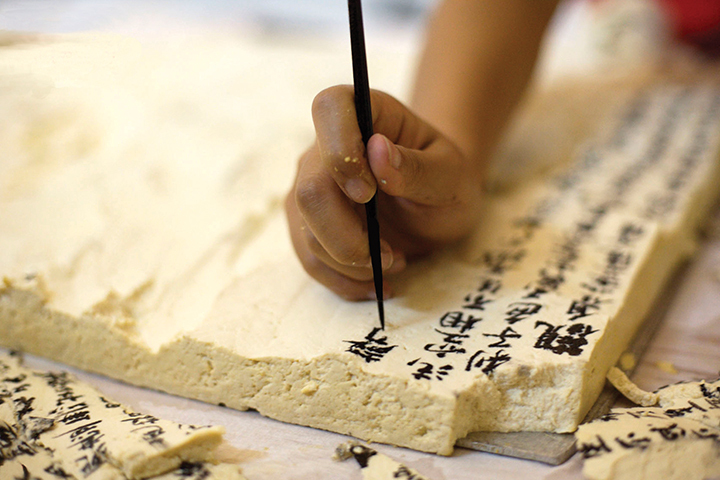 Each time after she had covered one layer of the tofu with the sutra, she would cut the surface off and began again, until the last layer was completely covered. 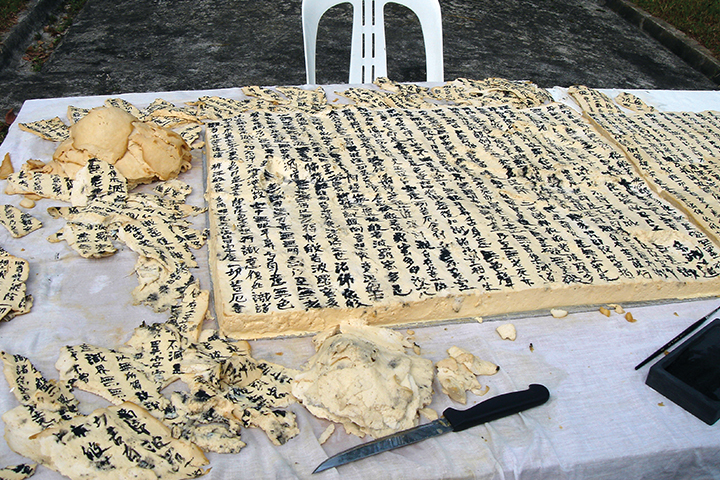 During the remaining time of the exhibition, the Tofu Mantra, 2005 video, which shows the process of the scripted tofu decaying, was projected onto a table in the interiors of the site.